Skyline Communications is on-the-scene at IBC2016 in Amsterdam to reveal the features that are resident within their new DataMiner 9.5 release. This release brings into play important innovations and new network management paradigms that will enable operators to manage their operations more easily and efficiently than ever before. Today, everything revolves around managing and owning the end-user experience. 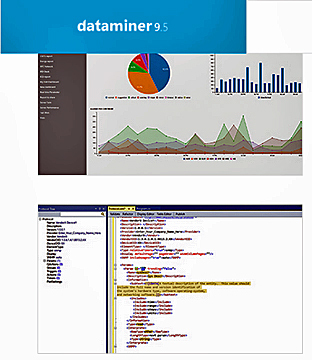 The unprecedented visibility on user experience offered by DataMiner 9.5 will be an invaluable asset in running a successful operation, even in the most complex and versatile technology ecosystems. Moreover, as success in a business is now defined by the degree to which a company can leverage their wealth of technology via their underlying infrastructure, the orchestration enabled by DataMiner 9.5 makes this nexgen, end-to-end, NMS/OSS crucial to the future of any operation. Skyline Communications will be holding forth at Stand 1.A23... if at IBC2016, visit their stand as an exclusive gift awaits such visitors once the voucher is downloaded at this direct link and completed and turned in at their booth.